Where are people generally moving to in South Africa and where are they moving from? Using voter registration data it has been possible to identify flows of people between places of origin and destination and identify which places are losing population and which places are gaining population due to migration. 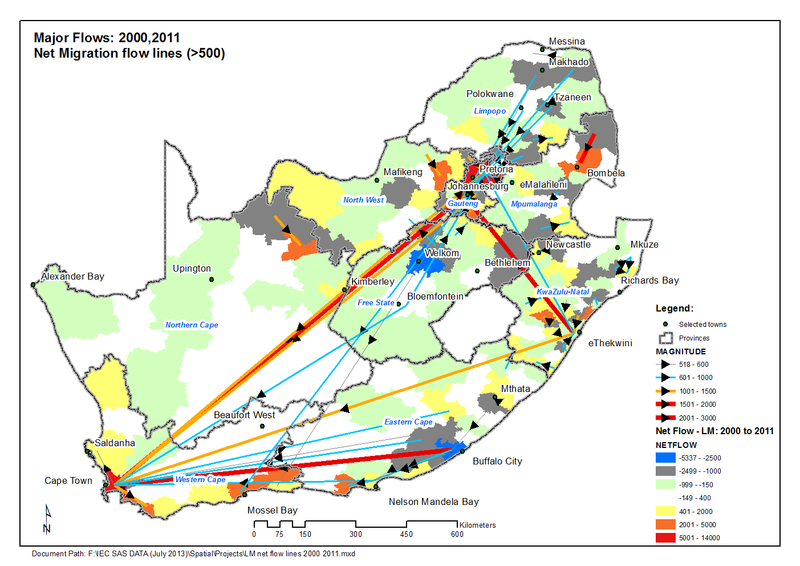 Dominant population flows have also been identified and mapped to pinpoint popular places of origin and destination in South Africa. Voter registration data, provided by the Independent Electoral Commission, have been spatialised and processed to extract movement trends between different election periods. To read more on how this was done, follow this link by Johan Maritz and Dr Pieter Kok.